When GOJEK was first introduced in 2010, it had just 10 driver partners and zero presence in financial services. Less than 10 years later, GOJEK through its digital wallet arm GO-PAY accounts for some 30 percent of the total electronic money transactions in Indonesia. It has partnered with more than 300,000 micro, small and medium enterprises across the country. This is an impressive feat, considering Indonesia is a cash-heavy society. In Indonesia, cash is king and no one has ever been able to challenge the throne. That is until GO-PAY entered the scene. GO-PAY has been challenging the status quo since it was introduced just 4 years ago, threatening to dethrone cash as the most favored form of payment in Indonesia. And by partnering with hundreds of thousands of MSMEs and millions of drivers, GOJEK is enabling the previously unbanked a chance to join the formal financial system. So how exactly is GO-PAY changing a society that loves cash so much? 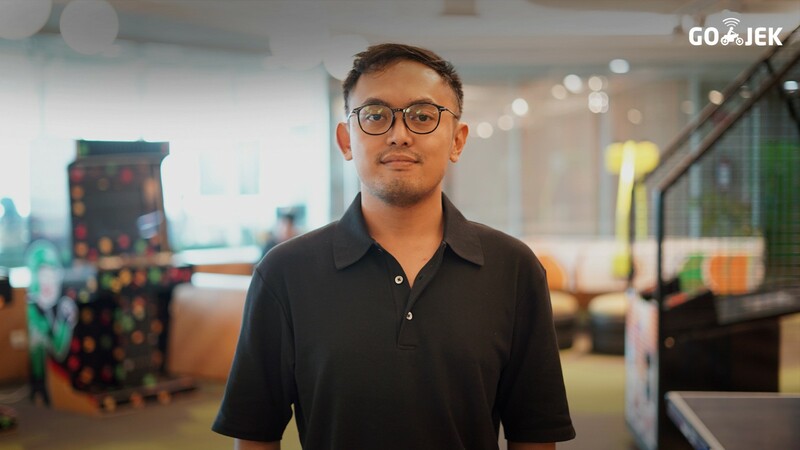 Sakti Nuzan, GOJEK’s Product Research Lead, told me just how GO-PAY is changing Indonesia. One of the reasons why people like cash so much is because of its tangibility. They can physically see, touch and smell cash, and it gives people a certain comfort knowing that the money they saved up over the years is in the drawer beside their bed. With cash, it’s difficult to keep track your spendings and income. Sure, you can manually write down every time you spend and receive money, only if you remember to do it each time. Not to mention the cash you dropped on the streets or lend to a friend. If you don’t remember to keep record of your cash flow, you’ll end up with little money and a lot of questions. “There’s no problem with cash. The problem is when people can’t manage their finances,” Sakti says. What GO-PAY does is provide you with your transaction history so that you can easily keep track of your spending. You can easily see where you’ve been spending your money. From this data, you can take notes of where you drain your money the most. This data enables you to manage your money much better. So based on you GO-PAY history you spent Rp 500,000 on bubble tea last month? Well, time to drink less bubble tea! Changing your own habits is never easy, let alone change other people’s. Therefore, GOJEK’s first step to change the customers’ habit was to provide them with incentives to use GO-PAY. Monetary incentives such as cashbacks and discounts were then introduced to ease the adoption of digital money. Discounts were provided for customers paying their rides with GO-PAY. Further, GOJEK’s partnership with one of the most popular bubble tea joints provided cashbacks and special promos for GO-PAY users. This arrangement proved to be such a hit that the queue at the bubble tea joint became even longer than ever before. Similar partnerships were then drawn up, not only with convenience stores and drug stores, but also with MSMEs. And as more customers opt to use GO-PAY, GOJEK’s driver partners are motivated to open the digital account to accept payment. The monetary benefit is enough for GOJEK’s customers and service providers to start using GO-PAY. But once the monetary benefit is no longer available, will customers continue to use GO-PAY? While the financially savvy understand that GO-PAY’s benefits are beyond monetary value, those who are less so might need more convincing. Let’s take the driver partners as an example. Many of them are financially excluded and are illiterate in terms of financial services and management. To them, using GO-PAY would give them no special value. Sakti says that in the early days of GO-PAY, many drivers found it difficult to top up their accounts themselves, whether at an ATM or through mobile banking. They preferred to have someone else do it for them, like a cashier at the convenience store (which is why GOJEK also enables GO-PAY top-ups in convenience stores). GOJEK then designed GO-PAY to be simple enough to use for the less digitally and financially savvy. Much more convenient than having to ask a cashier at the convenience store to do it. Sakti says that GOJEK has yet to fully push GO-PAY to its driver partners, as the company has done for service users. However, a change of behavior can already be seen among drivers. Although still minor, change is change, no matter how small. At a restaurant? GO-PAY. Electricity bills? GO-PAY. At the movies? GO-PAY. Bubble tea time? GO-PAY! 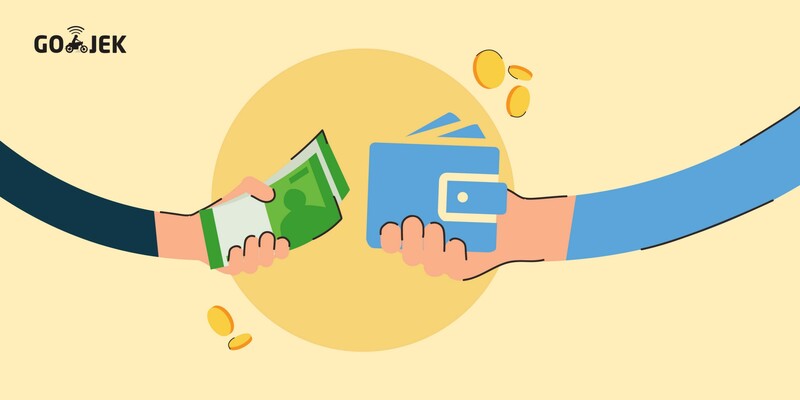 More and more drivers are now seen keeping the money they receive from their customers’ digital payment in their GO-PAY accounts, as opposed to withdrawing the money they earn at the end of their work day. A handful of them are now saving some money from a day’s work in their GO-PAY accounts, and instead making transactions using the service to buy groceries or pay their bills. Organically, many drivers are starting to understand the non-monetary benefits of going digital. And, most importantly, they are now included in the formal financial system. Financial inclusion has been proven over time to improve the welfare of the poor and previously unbanked. Multiply this by 2 million GOJEK driver partners and more than 300,000 MSME merchants and it can easily become a solution for Indonesia to improve financial inclusion. GOJEK has big plans for GO-PAY. Although it is now mainly focused on tertiary payments, GOJEK is planning to enable more primary payments through its services. Even without GOJEK pushing GO-PAY to drivers, many have already started to use the service beyond receiving and paying for services in the GOJEK app. Right now, users can pay various bills using GO-PAY the GO-BILLS feature, from electricity, social security, cable TV and internet, water and gas, among many others. GO-PAY’s impact is beyond payment; it has given a chance to its 2 million driver partners and 300,000 MSMEs to join the formal financial system, allowing them the opportunity to manage their finances better for an improved quality of life. The UNSGSA for inclusive finance for development has acknowledged the strides GOJEK has made in enabling digital financial inclusion in Indonesia.